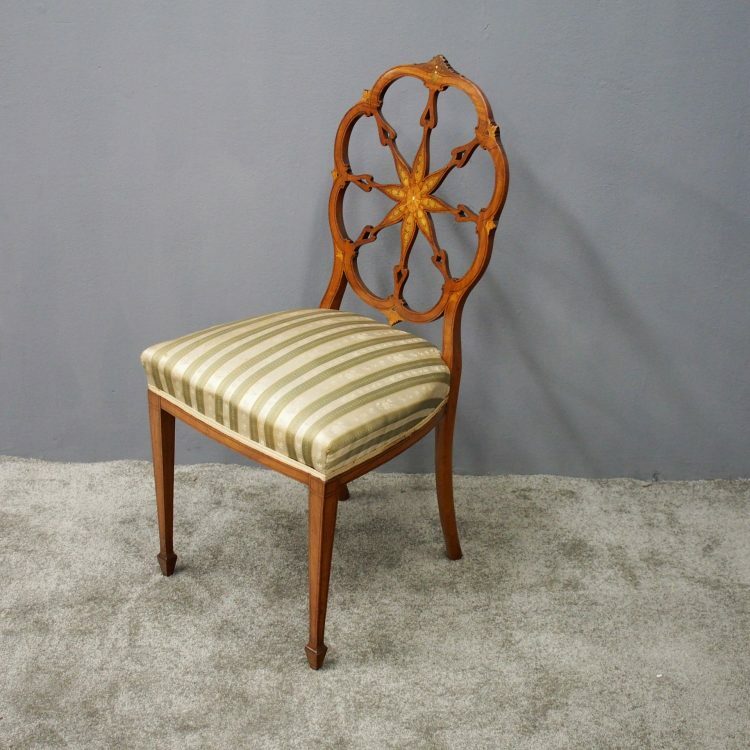 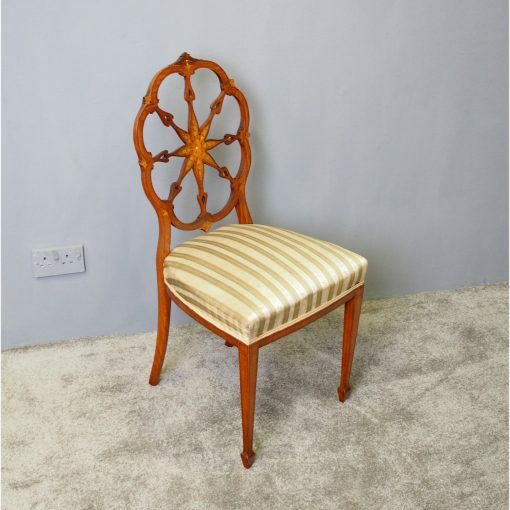 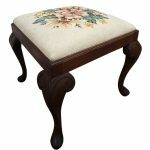 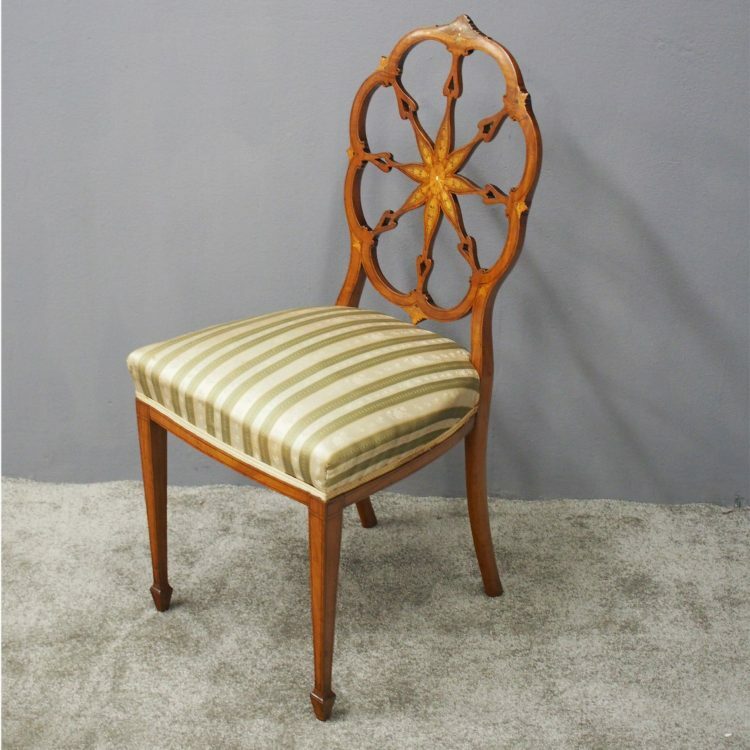 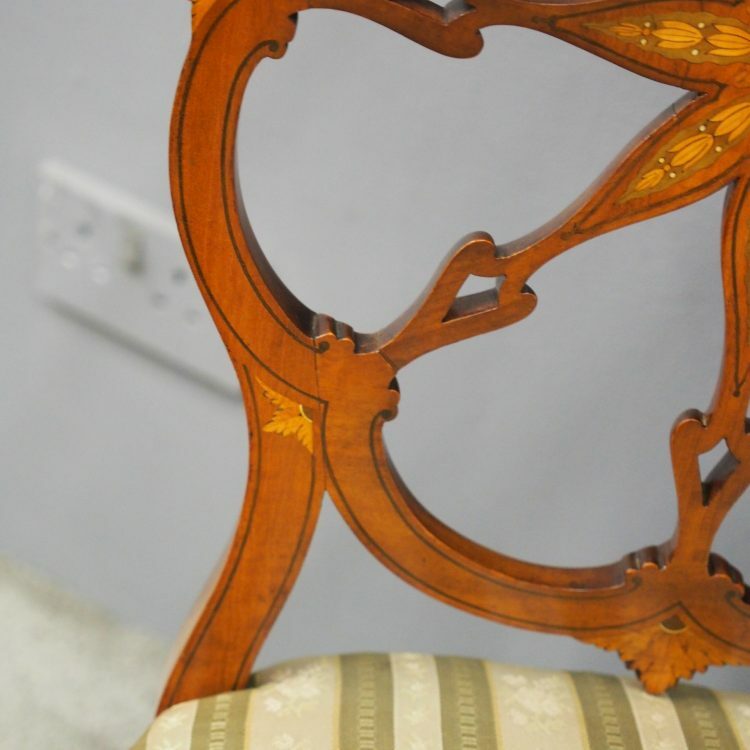 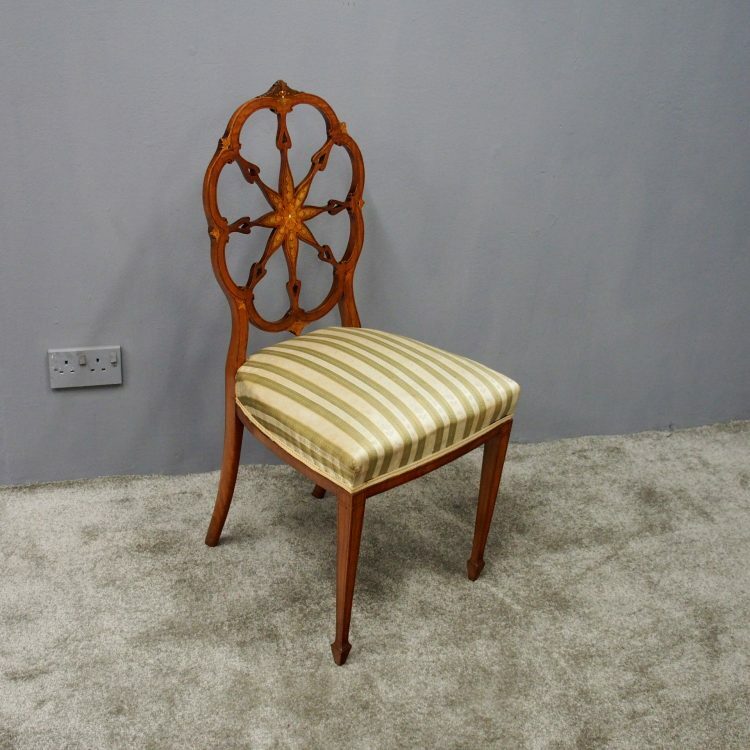 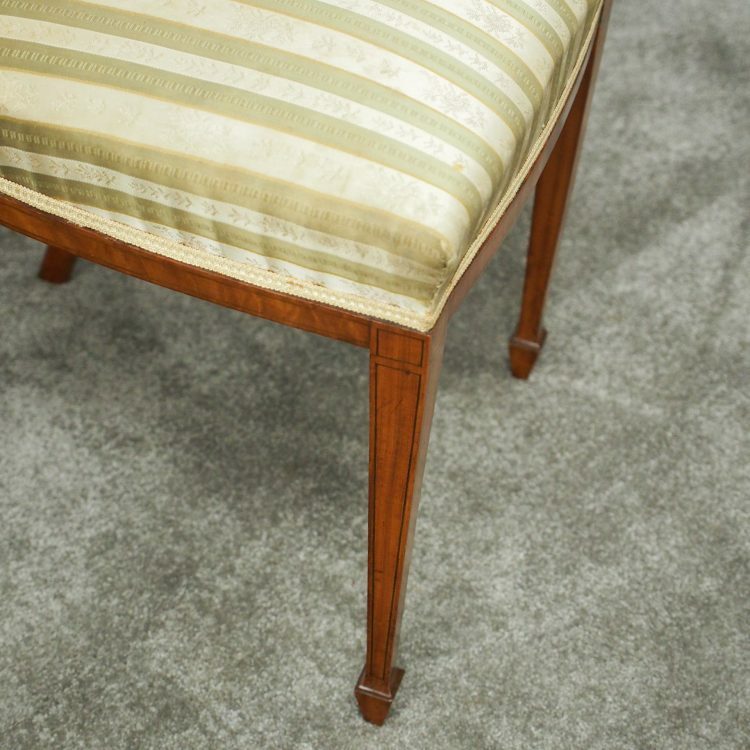 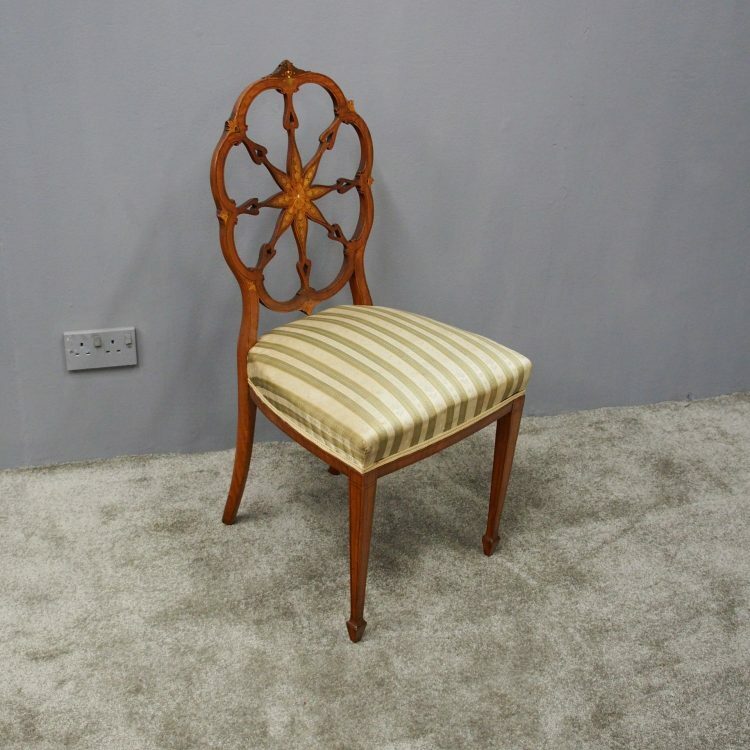 Circa 1900, exhibition quality satinwood inlay side chair. 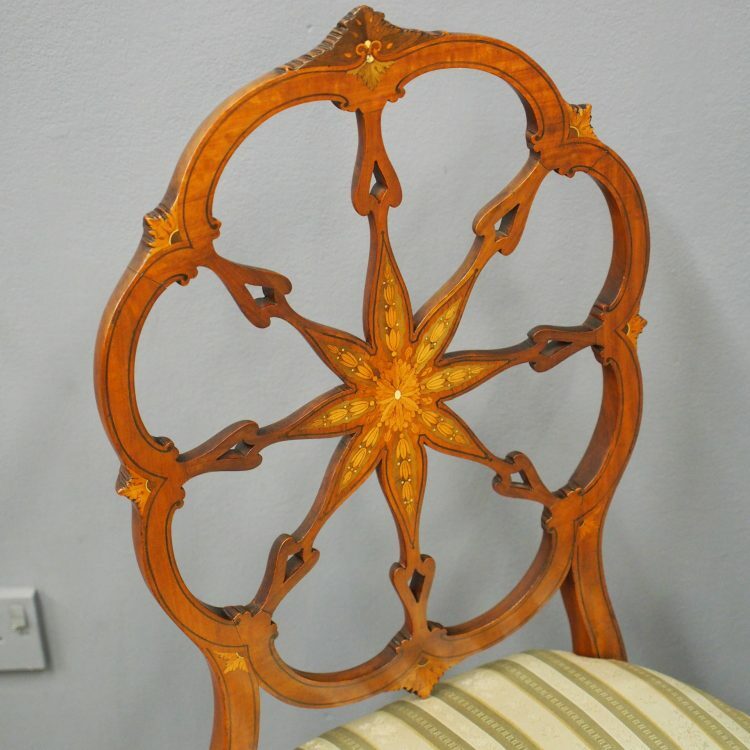 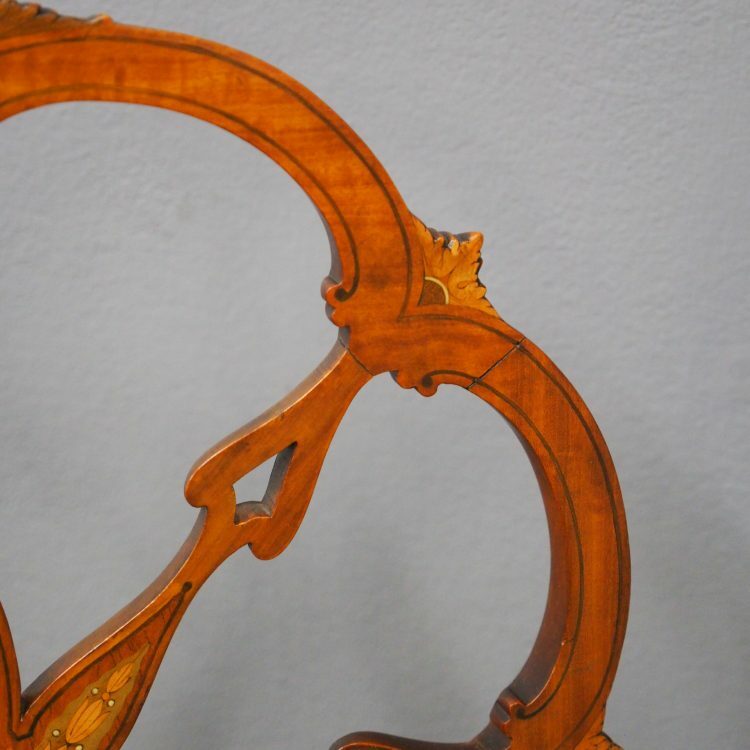 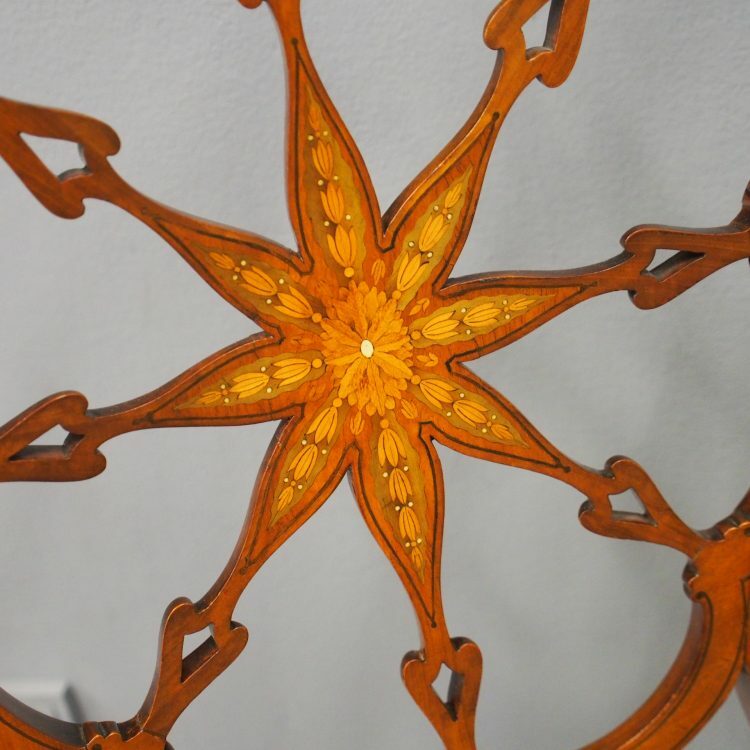 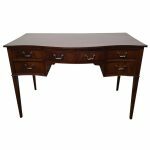 The shaped back has a sunburst inlaid centre and open fretwork, all in satinwood, boxwood, kingwood and bone inlay and leading on to a stuff over seat. 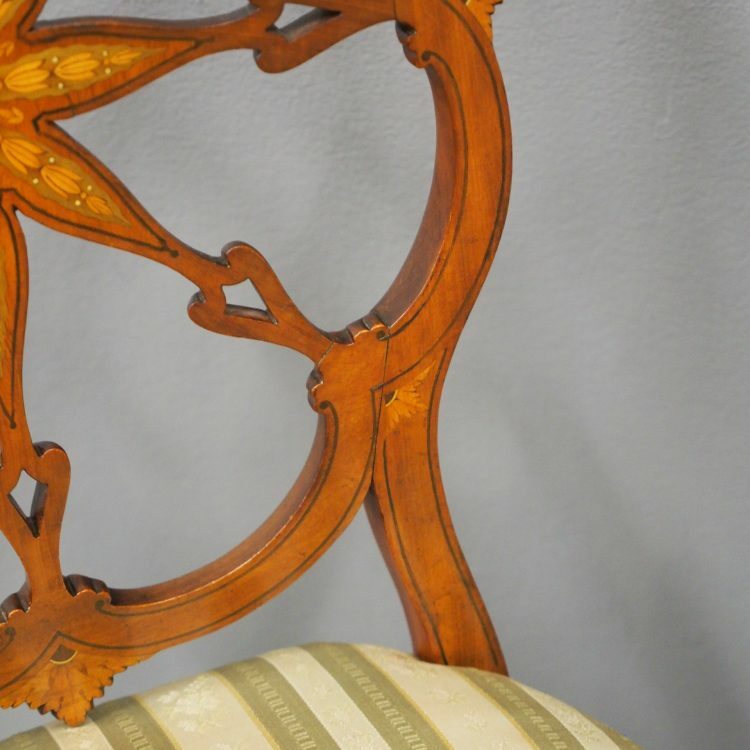 The front and side rails have further inlay and it stands on square, tapering legs which finish on raised, spade toes.